The holidays are a great time to remember those who have less than we do. It seems as though every cause in the area is asking for help during the holiday season, as their needs are greater. But what if you yourself are on a tight budget and don’t have much to give to charity? The good news is, there are still plenty of ways you can embrace the season of giving and give. Take a look below at how to give to charity while on a budget and see how easy it can be. You can still find ways to give that are generous and appreciated, even if you are on a shoestring budget yourself. Take a look! You may not have a great deal of cash to give, but your time is priceless. Instead, volunteer to serve meals at a local soup kitchen, prepare meals at a local women’s shelter, babysit at a local church nursery, or volunteer to deliver meals to home bound. There are plenty of agencies in your town that can use your help over the holidays, so give them a call and see what you can do! Bell ringers collecting change for charities are all around town during the holiday season. If you can’t make a huge donation this year, why not donate your change instead? Each time you make a purchase and get loose change back, slip it into a plastic baggie and keep the baggie in your purse or car. When you see the chance to donate your change, you will be ready. Remember, every penny adds up. 3. Donate items you no longer need. Clean out those closets for items you no longer need and use. Women’s shelters can always use clothing items, pet refuge centers can always use blankets and feeding bowls, and church nurseries can always use your old toys and kids clothes. If you can’t give money this holiday, you can still unload some items that someone else can use and appreciate. 4. Stock up on inexpensive canned goods. Canned goods go on sale during the holidays, allowing you to grab cans as low as a quarter each. When you see such sales, buy a dollar’s worth of cans to donate to your local food bank. They will appreciate it and so will your budget. This is a super way to give to charity while on a budget! 5. Make a donation in a loved one’s name as a gift. Perhaps your father has everything and you are not sure what to buy him. Why not make a donation in his name to a charity of his choice? This is a great way to not only honor your day and give a gift to him, but it allows you to aid a charity at the same time. Perfect! If you have been wondering how to give to charity while on a budget, hopefully these five tips have given you some helpful ideas. Give these tips a try and embrace the season of giving while not feeling the strain on your holiday cash. Happy giving! 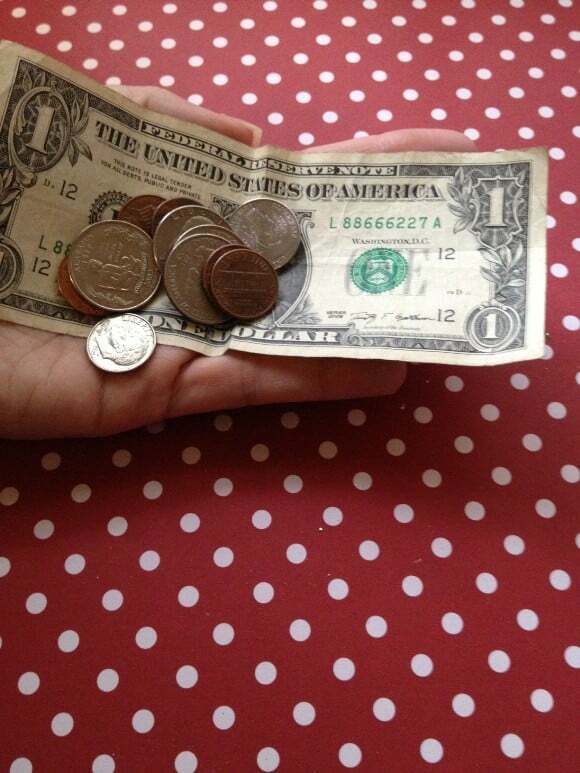 Do you have any other great tips on how to give to charity when you are on a budget yourself? Love all of the wonderful ideas for giving while still being aware of your own budget. The gift of time and donating gently used clothing and household items costs absolutely zero and can make someone’s holiday special! I love the idea of donating blankets and bowls to a pet refuge centre, sometimes we forget the animals who are in need. These are fabulous ideas! I especially love #1 and #3. I always ensure that any clothing that has only been gently worn by my children are cleaned and donated right away. That way, the styles are still current and some children might really enjoy having them. This is a good point you raise – that everyone can give something. Every little bit helps, and if we all pitch in the end result can be huge. I love fundraising drives where a company matches donations – that makes you feel like your money is working twice. What a great post. I think that the holidays we often feel charitable but sometimes we can’t give back like we want. We are definitely donating gently used items to our local Goodwill and I just posted about an initiative that helps wildlife. All you have to do is like and share pics! But, love your tips!